Hello! We’re April and Eric Perry. 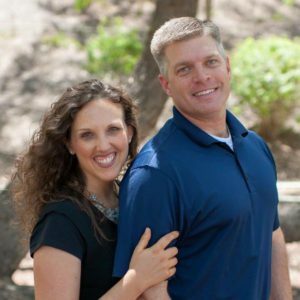 Parents of four, lovers of books and hiking, and passionate about strengthening families. Lifelong Learners – We are hungry to learn–at every age and stage of our lives. 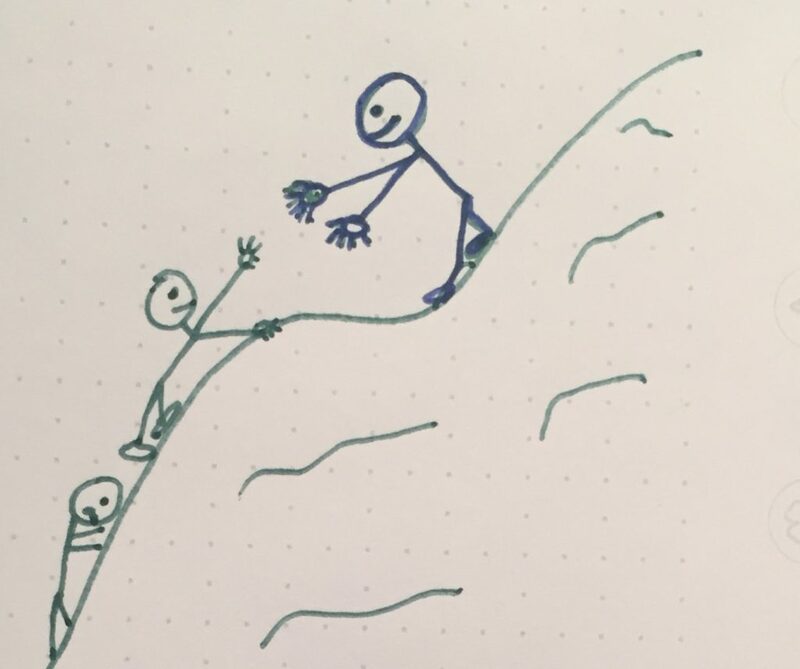 Action-Takers (“Doers”) – We are excited to apply what we learn and take control of our reality. Growth-Minded – We don’t want things to be the same year after year. We want to progress continually. Family-Centered – Our motivation to learn, do, and become is primarily to build a strong family where everybody thrives. Believers in a Higher Power: At LearnDoBecome, we are deeply committed to finding common ground among people from all backgrounds, but in everything we do, we acknowledge the existence of and love from a Higher Power. 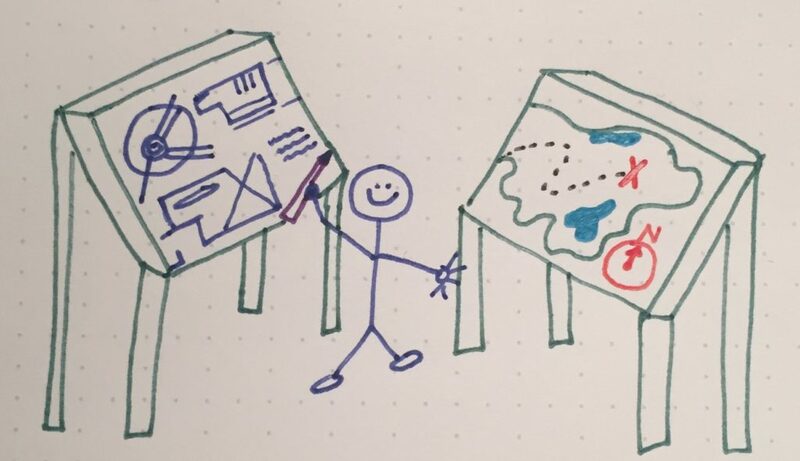 Our work at LearnDoBecome.com consists of a three-part journey, and I (April) drew a few pictures in case you wanted to know what the journey might look like. 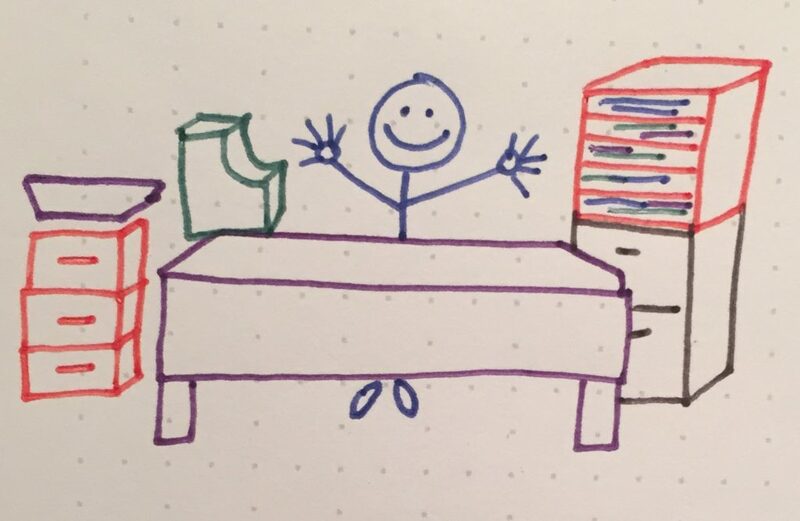 Clear the piles and put a seamless system in place to handle the “stuff” of life. Build a structure for your life that will support your hopes, goals, and dreams–while enabling you to live your values. Live your beautiful life while accepting a stewardship to lift those climbing around you. 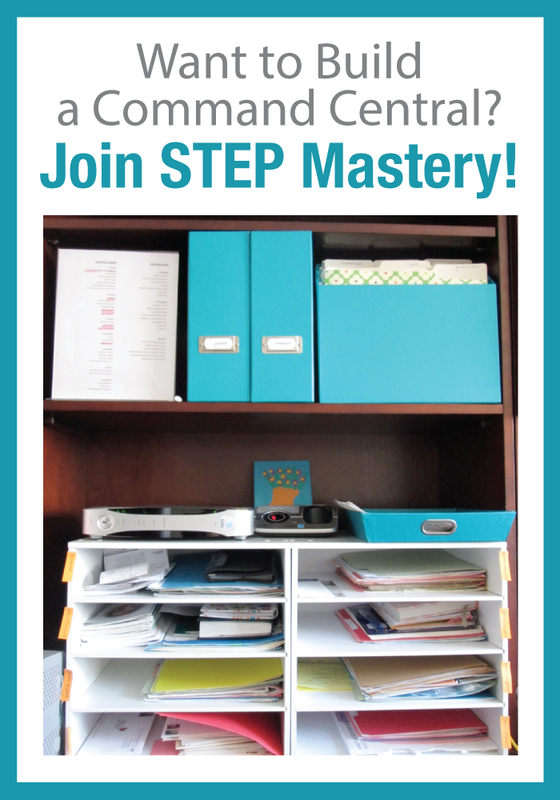 We have this dream of every desk having a Command Central and every family strengthened with well-architected lives and each person really thriving so we can all use our unique talents and give back. So where do you start, if you’d like to join with us? 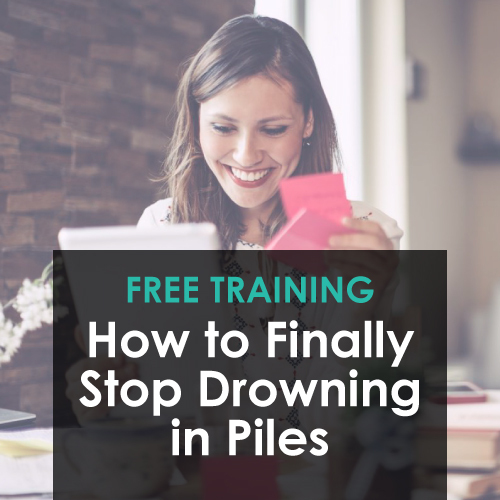 That’s why we want you to start with our free training, “How to Finally Stop Drowning in Piles.” It’s going to help you to get a handle on the “stuff” of life, and then you’ll be ready to jump into more of our Life Architecture resources. So, so excited to have you with us! Sign up for your class here, and we’ll see you soon!